Free cancellation policy; without breakfast. Please share this deal with your fellow travellers. Single room, breakfast included, for Saturday, 9 April 2016, at only €27 per night at the luxurious Conrad Centennial Singapore (the usual price for this room is approximately 10 times more). Please share this deal with all those you might think are interested. Deluxe resort with extensive spa facilities, a half-hour drive from Brussels. Rooms can be cancelled free of charge up to one day before check-in. Share with friends and leave a comment if you booked it. Otel.com is one of our preferred booking websites. For bookings until 29 November 2015 and stays until 31 March 2016 they offer a 10% of hotel reservations. This is a rare opportunity from Otel.com which have been shy lately in giving this level of discount. Double rooms, breakfast included, at the Relais Fontana di Trevi sell for € 16 for the night of Friday, 19 February 2016. Please leave a comment at the end of this article if you managed to book this deal. Very good Hotel Nox**** (9.3 rating on booking.com) in Ljubljana, Slovenia for € 10 for a double room, breakfast included. Only valid for the night of Sunday, 31 July 2016, at booking.com (see direct link below). Rates are flexible, so you can cancel at any time in case plans change. Share this deal with anybody you think may be interested, as these are rooms that usually sell in excess of € 100. Offer valid only three nights in December (from 21 to 24). Double rooms, including breakfast, sell for € 66 per night, which is half of the price they sell year-round. Please share this deal so that as many travelers can take advantage. Seasonal sale from Accor Hotels, bookable until 26 November 2016, for stays between 18 December 2015 to 28 February 2016. The 50% discount is expressed in comparison with the regular flexible deals. Rates are non-refundable. Winter promotion from Hilton at participating properties in the US. For every stay of minimum two nights during the month of December 2015 you get 2 500 HHonors bonus points. Winter sale at selected Accor Hotels in Switzerland, where 2 nights sell for the price of 1. Bookings must be made until 26 November 2015 for stays between 11 December 2015 and 16 May 2016. If you cannot take advantage of this deal, share it so it doesn't waste. Two night deal at the luxury apart-hotel Hala Arjaan by Rotana Abu Dhabi: rooms for the nights of 29 and 30 June 2016 for €36 and, respectively, €43 euro per night. These rates are a third of what the big agencies sell the same rooms for. Breakfast available for only ‎£ 10 more. Let us know if you still found some rooms available. One night deal (Monday 30 May 2016) at The Athens Gate Hotel in central Athens: single Executive Rooms with balcony with view over the Acropolis. Breakfast included. These are the Secret Hotels uncovered in Barcelona, Spain (updated January 2018). If you cannot find on this page a certain secret hotel, please send us an email or leave a comment at the end of this post and we will reply shortly. This contemporary 5-star boutique hotel is found in the Eixample area, close to the metro and exciting spots such as the designer stores of the Passeig de Gracia and the hip Born neighbourhood. Relax and take in city views from the hotel’s secluded terrace and unwind with a dip in the pool. The hotel's rooms all offer flat-screen TVs, free wi-fi access and private bathrooms. This modern 5-star hotel is situated just a 10-minute walk from Las Ramblas, Plaza Catalunya, and Passeig de Gracia. Its facilities include a swimming pool, a gym, a roof terrace, a restaurant, and a bar serving cocktails. The modern, stylish rooms feature free wifi, TVs, coffee machines, and mini-bars. Enjoy luxury in the heart of the city at this 5-star hotel, within easy walking distance of the central Placa de Catalunya. The hotel offers a concierge service, as well as a pool, gym, bar and gourmet restaurant. Rooms offer stylish design and high-tech features, including wi-fi, flat-screen TV and coffee machines. Explore Barcelona from this well-connected 4-star hotel, just a short walk from Francesc Macià tram stop. Dine in the hotel's on-site restaurant, which serves Mediterranean cuisine with international influences. Business visitors have the use of 14 meeting and function rooms. The on-site fitness centre has both cardio and strength training equipment and the hotel's 151 rooms all offer air conditioning, a minibar, complimentary wi-fi and flatscreen TV with a selection of international channels. This contemporary 4-star hotel stands close to iconic Plaza Catalunya, in the heart of Barcelona, a short walk from Catalunya Metro Station. You can dine at the hotel’s restaurant, watch the sun go down at the stylish terrace bar, relax in the garden and get online using the free wifi. This futuristic 4-star hotel is in an excellent location in the centre of Barcelona, close to public transport, and has a sauna, gym, masseur, two restaurants, a café and a cocktail bar. A TripAdvisor Certificate of Excellence winner, the hotel can accommodate families of up to five in connecting rooms, and also offers a babysitting service and packed lunches. All rooms have free wi-fi, designer furniture, minibar, a 42-inch HD satellite TV, an iPod/iPhone dock and views of the city. Ideally located for exploring the city’s major sights, this modern 3-star hotel is close to the Gothic Quarter, Las Ramblas and Plaza de la Catalunya. For your convenience, complimentary wi-fi is available throughout the hotel, and you can refuel with a drink or snack in the stylish lobby after exploring the city. Designed in a modern style, rooms are air conditioned and have satellite TV, a selection of pillows and private bathrooms. Full of exciting contemporary style, this boutique 4-star hotel is close to the buzzing Plaza Espanya, and has excellent transport links for exploring the city. Enjoy a delicious Mediterranean meal on the terrace, or unwind in the sauna at the on-site spa and fitness centre. Cool and colourful, the hotel's rooms have LCD TVs, air conditioning and a selection of pillows, to help you get a great night's sleep. This modern 3-star hotel is situated in a 19th century building in Barcelona’s Gothic Quarter, just a short walk from the historic old town, the harbour, and the beach. Its facilities include a lounge area and a daily buffet breakfast is available. The modern, brightly decorated rooms feature free wifi, Satellite TVs, and private bathrooms with complimentary toiletries. This modern 4-star hotel is ideal for business and leisure guests. In the heart of Barcelona’s financial district and close to Barcelona Sants railway station, the hotel is well located for accessing all parts of the city. Sit back and relax in fresh, spacious rooms, where you have access to free wi-fi and can cool down with the air conditioning and relax with a drink from the minibar. The chic hotel restaurant provides a range of delicious dishes for breakfast, lunch and dinner. In an ideal location just a few feet from Barcelona's famous La Rambla boulevard, this smart 3-star hotel is perfect for anyone looking to get close to the heart of the city. There are plenty of shops, bars and restaurants close by, as well as main sights like Ciutadella Park, Plaça de Catalunya and Barcelona Cathedral. The hotel has been newly refurbished in 2015 and features a traditional Catalonian restaurant, perfect for dinner before heading out to sample the city's buzzing nightlife. Enjoy a spot of peace and quiet alongside the freedom to explore the city with a stay at this modern 4-star hotel, found just outside Barcelona, but with convenient transport links to the centre of town. The on-site restaurant serves traditional Spanish cuisine and tempting sweet treats, and there is also a spa on-site where you can spoil yourself. Each room has a flat-screen TV with satellit channels, free wifi access, and a private bathroom with shower. This modern, 4-star hotel is situated in Barcelona’s seaside neighbourhood of Sant Marti, just a short walk from Bogatell Beach and only a few metro stops from the city centre. The hotel’s stylish interior features a bar, a gym, a restaurant and free wifi, in addition to a rooftop pool and sun terrace. The air-conditioned rooms include flat-screen TVs, minibars, and private bathrooms. In Barcelona’s L’Hospitalet district, near Parc Ecologic de Bellvitge, this modern 4-star hotel offers easy access to the city centre in one direction and Barcelona airport in the other. There are 2 restaurants to choose from within this stylish hotel, you can grab a drink in the bar, and the free wifi will keep you connected. Please note that Wellness sauna & jacuzzi are are closed for refurbishment. This modern 4-star hotel sits in the north-east corner of Barcelona, the Horta-Guinardo district. Just a short walk from the Sagrada Familia and Gaudí's Park Güell, this hotel is perfect for exploring the cultural side of Barcelona. The cosy rooms include free wifi and flat-screen TVs, and you can fill-up on a buffet breakfast at the onsite restaurant. Enjoy central Barcelona when you stay in this comfortable 3-star property, located conveniently for the city’s main attractions and with easy access to Barcelona Airport. After a busy day of exploring the sights and sounds of nearby Plaza Catalunya and Las Ramblas, relax in the hotel’s bar/lounge. In each air-conditioned guestroom, you’ll find free wi-fi, satellite television, and private bathroom facilities. Close to El Prat airport, this modern 4-star hotel is within easy reach of central Barcelona by public transport. The Hotel has a sauna, pool and a restaurant which specialises in traditional Mediterranean dishes. Every one of the hotel's rooms mixes classical style with splashes of colour, and has air conditioning, a flat-screen TV and free wi-fi. Full of exciting contemporary style, this modern 4-star hotel is close to the buzzing Plaza Espanya, and has excellent transport links for exploring the city. Enjoy a delicious Mediterranean meal on the terrace, or unwind in the sauna at the on-site spa and fitness centre. Cool and colourful, the hotel's rooms have LCD TVs, air conditioning and a selection of pillows, to help you get a great night's sleep. This modern 4-star hotel sits in Barcelona's Sants-Montjuic neighbourhood, a short walk from the Joan Miró Museum. During your stay you can chill out at the rooftop terrace bar, dine in the stylish restaurant; and the 24-hour reception means you can come and go as you please. Find yourself in the heart of Barcelona at this modern 3-star hotel, located just a few minutes' walk from the hub of the city centre, Plaça de Catalunya. Although nestled in a quiet residential district, the hotel is close to major sights including the restaurants and shops of La Rambla and Passeig de Gràcia and the colourful Sant Antoni Market. What's more, with a Subway stop just a few hundred metres from the front of the hotel you'll have no problem exploring the rest of Barcelona. This modern 4-star hotel, near the Roman Barcino wall is a short walk from vibrant La Rambla. Close to Barcelona Cathedral and La Rambla, this is a great base to explore the city. Bicycle rental is available from reception and enjoy the hotel’s breakfast room and free wifi. Right by the beach, this contemporary 4-star hotel is ideal for enjoying what Barcelona has to offer, with excellent transport links close by. Enjoy a drink at the hotel's coffee bar, or go up to the rooftop pool to relax and take in the view. Unwinding is easy in the hotel's room, thanks to their air conditioning, free wifi access and large windows. Located 20-minutes’ drive from the airport and close to the Metro; this is a good base for those looking for a less hectic neighbourhood, but with easy access to restaurants, bars and shops. Expect free wi-fi and TV in your room, and for business guests the hotel contains a meeting room. Top tip – Hire a bicycle from the hotel and cycle to La Sagrada Familia, the beach or any of Barcelona's other attractions using the city’s cycle routes. Maps are available at reception. This 5-star hotel sits only a short walk from lively La Rambla and overlooks Barcelona’s port. You can dine in the chic restaurant, relax in the bar, unwind in the spa or energise in the gym. However, the hotel’s highlight has to be the rooftop swimming pool. The bright, large-windowed rooms have wooden furnishings with warm colours draped throughout, while you’re encouraged to also use the hotel’s rooftop swimming pool and fitness centre, which includes spa treatments. In the western neighbourhood of Les Corts, this 5-star hotel is only a short walk from the famous Camp Nou, home to Barcelona FC. Enjoy the hotel’s sound-proofed rooms, gym, café, heated outdoor pool and free access to the spa. A minute away from the beach, and with great metro connections to the rest of the city, soak up the sun in style at this modern 5-star hotel. Lounge by one of the hotel's outdoor pools, or enjoy a spot of sophisticated chic in the on-site cocktail bars and gourmet restaurants. And at the end of the day, curl up in you room, fitted with an LCD TV, free wifi access, and private bathroom with rain effect shower. This modern 4-star hotel sits in the centre of Barcelona, near the lively Avinguda Diagonal, and the excellent nearby transport links make it an excellent place to explore the city from. Although with its rooftop pool, free wifi, and restaurant that specialises in local and seasonal flavours, you may struggle to leave. Either way, at the end of the day you can settle down for a wonderful night's sleep in your warmly decorated room, fitted with flatscreen satellite TV, shower and tub. This modern, 5-star aparthotel sits in Barcelona’s new business district and is just a short walk from the metro, giving you easy access to the rest of the city’s sights. For lunch, you can treat yourself to authentic Mediterranean cuisine in the buffet restaurant. Each air conditioned apartment has soundproofing, a kitchenette, living room with LCD TV, free wi-fi, a selection of pillows and an en-suite bathroom with shower and toiletries. In the heart of Barcelona, this modern 4-star hotel sits close to the Jardins de Cesar Martinell. There’s a restaurant onsite and the hotel’s free wifi means you’ll always be connected. For relaxation, take a dip in the rooftop swimming pool and hot tub while you enjoy panoramic views of Barcelona. Right in the heart of Barcelona, this 4-star hotel hides bold contemporary design behind its classically styled exterior. The hotel has free wifi and an inviting pool to take a dip in on a hot day, as well as a on-site restaurant that offers a deliciously modern twist on traditional Mediterranean cuisine. And with the metro line being just a few minutes away, exploring what the city has to offer couldn't be simpler. This 4-star hotel combines a 19th century exterior with bold contemporary decor. Located along the Passeig de Gracia, you'll find free wifi throughout the building, as well as two gourmet restaurants, and an inviting outdoor pool. Every room has air conditioning, a flat-screen TV, and a selection of pillows, all to help you have a wonderful night's sleep. Unique deal: suite in an 18 century palace 400 meters from Rialto Bridge, that usually sells for over € 300 euro, is available at € 37 for the night of 18 September 2016, for two people, breakfast included. Another lucrative promotion from Club Carlson, the loyalty programme of Radisson Blu hotels. Stay at a Park Inn by Radisson hotel in the US, Canada and Latin America until 31 December 2015 and receive 15 000 bonus points. Even a one night-stay counts towards this promotion, so it's like getting a free night for a future stay, considering that many Park Inn hotels sell for 15 000 points or less. One night deal on Tuesday, 16 August 2016: double rooms including breakfast at the modern NH Calderon**** at €66. Centrally located hotel, just off Placa Catalunya, part of the best Spanish hotel chain: NH Hotels. Very good deal, considering that the same room for the same night is sold in excess of 200€ by the big travel agencies or on the official website of the hotel. One night deal on Wednesday, 29 June 2015 at the modern 4-star hotel Exe Laietana Palace in the right in Barcelona centre. Non-refundable double rooms at €39 euro and refundable rooms at €44 euro. Let us know if you still found rooms available. One night deal at the Hotel Zenit Abeba****, a modern and clean 4-star hotel in the Salamanca suburb of Madrid, 200 meters from a metro station. At this price, it is not guaranteed that the travel agencies will honour the reservation, but it is definitely worth trying. Incredible deal for the night of Saturday, 4 June 2016: single room, breakfast included, at the Hotel 1898**** for only 37€. Let us know if you managed to get this deal. This must be an error rate: throughout the month of July 2016, economy single rooms, breakfast included, are sold at only 50 euro per night. Reservations can be cancelled free of charge up to one day before check-in. The 4-star NH Wien Belvedere offers low prices for stays during the first months of 2016. Prices start at 44 euro for single rooms and 52 euro for double rooms. 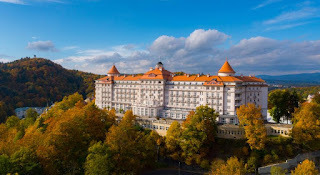 While you can get rooms at several 4-star hotels in the suburbs of Wien at prices around 50 euro, what makes this property special for this price is the location: right accros the Belvedere Palace and its gardens. These rates are available for members of the NH Rewards loyalty programme. If you are not yet a member, you can join for free during the reservation process, by clicking the box "Yes , I wish to sign up for the NH Hotel Group Rewards program" immediately above the "BOOK NOW" button. NH Hotels is a chain of almost 400 quality hotels spread out mostly in Europe (with strong presence in Spain, Italy, The Netherlands and Germany). They also have some properties in Latin America and Central America. These are the Secret Hotels uncovered in Manchester, England, UK (updated Jan 2018). If there are secret hotels not revealed when clicking on the links below, please send us an email or leave a comment and we will try to help. Located in a leafy village, only a short drive from Manchester City Centre and Manchester Airport, this elegant 4-star hotel offers free parking and free wifi. The hotel also has a gym, spa treatment room, a bar, and two lounges where you can relax. Boutique-style rooms have satellite TVs, DVD players, iPod docks, free wifi, and ensuite bathrooms with monsoon showers. In the heart of the bustling Manchester city centre, you'll find this luxurious boutique hotel. Money has been no object in restoring this Victorian hotel which now has contemporary spacious rooms in the heart of this famous city. Close to everything that Manchester has to offer in shops, bars, theatres and exhibitions. If you've yet to discover this hotel - then you don't know what you're missing! Enjoy a fantastic all-round experience at this beautiful, brand new hotel and it's themed restaurant in honor of the beautiful game. Make yourself at home in the heart of Manchester with a stay at this aparthotel, found within walking distance of Piccadilly Station and the Northern Quarter. The aparthotel is furnished in a contemporary style throughout and offers a reception service. Each apartment has free wi-fi access, full kitchen with washer/dryer and microwave and a seating area with a flat-screen TV. Found in the heart of Manchester city centre, this award-winning luxury hotel is based in one of the city’s most significant buildings. First-class customer service is enjoyed as you savour the venue’s elegant styling and take advantage of its many facilities. The spa includes a gym and relaxing pool, to complement the stylish bar and multiple restaurants serving fine dishes and quick snacks. In the well-equipped rooms you can log on to complimentary wi-fi and tune in to the satellite TV. This 4-star hotel places modern design within a listed building, and is conveniently located for taking in Manchester’s fantastic sights and shops. During your stay you can relax in the on-site bar or fitness centre, and enjoy fresh, locally sourced food in the restaurant. Decorated with attractive touches of colour, the hotel's rooms have air conditioning, wifi access and private bathrooms as standard. Contemporary in design, is one of Manchester's most exquisite hotels. Perched on the banks of the River Irwell and offering superb city views, delivers on quality service and comfort. This is a hotel for those who like to be ensconced in their room, all of which are luxuriously spacious with bathrooms finished in Italian porcelain tiles. Please write us an e-mail with the description of the hotel that you cannot identify and we will try to help. These are the Secret Hotels uncovered in New York, USA (updated Jan 2018). You will see these secret hotels revealed when you click on the link next to the description of each of them. Send us an email or leave a comment if you are searching other hotels which are not listed below. This boutique 4-star hotel is found near Manhattan’s Murray Hill neighbourhood, as well as Grand Central Station and the Chrysler Building. Furnished throughout in a modern style and offers free wi-fi. Each room has a flat-screen TV and luxurious furnishings. This 5-star suite-based hotel is found in Manhattan’s financial district, close to the Hudson River, Tribeca and SoHo. The hotel is filled with contemporary design flourishes, but also serves fine traditional flavours in its restaurant and the on-site bars provide plenty of options for unwinding over a coffee or glass of wine. Flat-screen TVs, wi-fi access and private bathrooms, stocked with toiletries can be found in every suite. Within easy walking distance of the iconic Times Square, this 4-star hotel dates back to the 1920s, and is well-located for experiencing Manhattan. With a selection of massage treatments available on-site, as well as a sauna, steam room and gym and elegant continental restaurant, you can really relax in style during your stay. Your room is just as comfortable, with sitting areas, air conditioning and flat-screen TVs coming as standard. This modern hotel rises above the financial district, and is close to the subway and the Brooklyn Bridge. Relax with a dip in the pool or workout in the fitness room, and enjoy refined drinks and dining in the on-site restaurant and bars. The hotel’s rooms all have flat-screen TVs with cable channels, coffeemakers, minibars and private bathrooms. Located in the heart of it all - just a short walk to Times Square & Rockefeller Center. Easy Subway access within blocks of this hotel. Enjoy complimentary WiFi during your stay. At the centre of the Fashion, Theatre, Dining and Business world’s this hotel is close to Times Square. Grab a great deal, a cozy room and a marvelous experience in this high quality hotel which offers excellent service. Perfect if you want to be within walking distance of everything you need to see. Rates are based on double occupancy. Charges for extra adults may apply and will be due directly to the hotel. Set less than a mile from the lush surrounds of New York's Central Park and close to major attractions including the Museum of Natural History and the Lincoln Centre for the Performing Arts, this stylish 4-star hotel is a great option on the fashionable Upper West Side. Relax on Chesterfield-style sofas in the Lobby Library while making use of the hotel wi-fi, unwind in the hotel's three restaurants and bars or go exploring to find a fantastic choice of dining options and entertainment venues. This modern hotel is found in the heart of Brooklyn, close to subway links, BAM, shops, galleries and restaurants and the Barclay Center. The hotel has a bar and restaurant, extensive fitness facilities and free wi-fi access. Each room is furnished in a contemporary style, with a flat-screen TV, luxurious bedding and bathroom stocked with eco-friendly products. Studio Suites just a few blocks from buzzing Times Square and the theatre district. Good size rooms offering a fully equipped kitchen giving you the option to dine in or head out to find something in one of the world's greatest cities. Rates are based on double occupancy. Charges for extra adults may apply and will be due directly to the hotel. Filled with contemporary design flourishes, this 4-star boutique hotel is well located for many of New York’s sights, being within walking distance of Time Square, Chelsea and the Theatre District. During your stay you can unwind in the cool bar and restaurant, and stay connected with the hotel’s free wi-fi. The hotel’s rooms are furnished in a contemporary style with LCD TVs, coffeemakers, iPod docks and private bathrooms coming as standard. This hotel is decorated with a mixture of baroque, traditional and contemporary motifs, reflecting its own interpretation of performance art. While in your room, you'll enjoy plush bedding, spa style bathrooms and free Wi-Fi. This Midtown East icon is within walking distance of major attractions and several subway lines. Rooms are elegant and feature the high-end amenities expected of a hotel of this category. There are plenty of restaurants within a few blocks of the hotel. Museums and other major attractions, including Times Square and Rockefeller Center, are also within easy walking distance. Close to the Rose Hill area, Madison Square Park and the East River, this 4-star hotel is ideally located for a visit to New York. Near-by Park Avenue offers some of the city's best shopping and dining. A continental buffet breakfast is available each morning in the hotel's lounge area. Stylish rooms have high-speed wi-fi access, a flatscreen TV with cable channels and on-demand viewing, iPod docking station, minibar, air conditioning and rainfall shower. Set beside the iconic Ed Sullivan Theatre in Manhattan’s world famous Theatre District, this hotel boasts designer accommodation in an enviable location, close to Times Square and the Rockefeller Centre. Work up a sweat in the on-site fitness centre before relaxing in your chic room with high-speed wi-fi access and satellite TV. After exploring New York’s famous restaurants and bars, return to the hotel’s stylish lounge, serving the "Best Martini in Manhattan" as voted by CitySearch Magazine. Just a block from Central Park, near some of New York's best restaurants and in close proximity to the Lincoln Center this hotel is within four blocks of five subway stations making the whole city easily accessible. The hotel has a pool, fitness centre, free Wi-Fi for guests and you'll be hard pressed to find a better deal in the city. Close to the East River and the Queensboro Bridge, this 4-star hotel occupies a quiet slice of the Upper East Side of New York's Manhattan Island. The exciting sights and sounds of Midtown Manhattan, and the Roosevelt Island Tram Station, are just a walk away. Dine in the hotel's Lobby Bar, with garden, serving café-style cuisine until midnight each day. The hotel's 197 rooms have a flatscreen TV with cable channels, air conditioning and minibar. Located in the northern section of the Theater District, two blocks from Rockefeller Center and a short walk from Times Square and Central Park as well as every major Subway line and numerous other attractions. Loved by guests for its friendly, helpful staff, marble bathrooms and did we mention the location? Expect a great combination of Italian-style architecture and central Manhattan location with this 3-star hotel on Madison Avenue. Not far from Grand Central, Central Park and Hell’s Kitchen, it’s in a great place and rooms boast high-quality linen, Cable TV, air conditioning, safe and wi-fi access. Some rooms have spectacular views of the Empire State Building and the hotel’s business centre has multiple meeting rooms with state-of-the-art technology and space for up to 250 delegates. For stays at Hilton properties until 31 December 2015 you get triple points for week-end stays and double points for stays during the week. You need to register before check-out in order to take advantage of this offer. If you are not yet a member of the HHonor s loyalty programme, you can join for free using the link above. Club Carlson, the loyalty programme of Radisson Blu hotels runs a promotion for stays of two or more nights at the Radisson Blu Warwick Hotel. Following last year's promotion, the Vancouver Hotel Destination Association (VHDA) (a group of 35 downtown Vancouver hotels) came up with a similar offer, giving you hundreds of Canadian dollars in Amercian Express gift cards, depending on the length of your stay. These reservations are non-refundable, so book only if your travel plans are firm. The promotion is valid for stays until 29 February 2016. Flash sale at selected Crowne Plaza, Holiday Inn and Holiday Inn Express hotels in the United Kingdom and Ireland, with rooms starting at £ 39.00 per night. Bookings must be made until Sunday, 8 November, for stays between 1 December 2015 and 29 February 2016 (except New Year's Eve). These discounted rates are non-refundable, so book only if your plans are firm.